A St. Anthony police officer shot and killed an African-American man during a traffic stop July 6, 2016, in Falcon Heights with much of the bloody aftermath captured on Facebook Live. The man killed was identified by family members as Philando Castile, 32, a cafeteria supervisor at J.J. Hill Montessori School in St. Paul. Around 9 p.m., Philando Castile is shot behind the wheel of a car in Falcon Heights after being pulled over by an officer from St. Anthony. 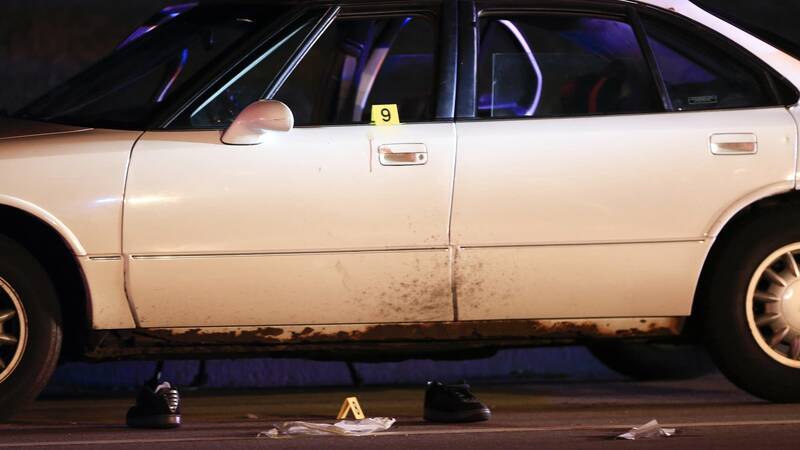 Castile's girlfriend — Diamond Reynolds — and her young daughter are also in the car, but are not injured. Reynolds films and posts the aftermath of the shooting on Facebook. She later says, "I wanted everyone across America ... to know that our people, our police, who are supposed to serve and protect us, are the ones that are killing us." 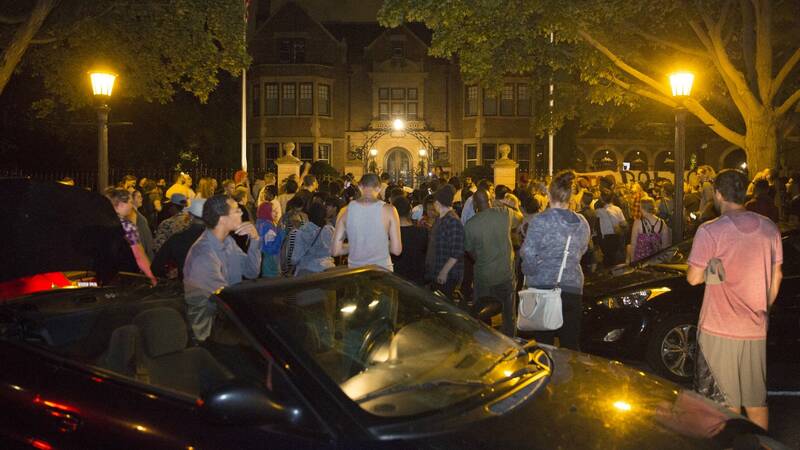 Protesters gather at the governor's residence in St. Paul overnight, place police tape around the gates and chant "No justice, no peace! Prosecute the police! Wake up!" Later that morning, Gov. Mark Dayton says he's pressing for a federal investigation. He speaks at a news conference alongside Reynolds, Minneapolis NAACP President Nekima Levy-Pounds, the Rev. Danny Givens and Clarence Castile, Philando's uncle. That afternoon, the governor calls the police shooting of Castile a "terrible tragedy" that's befallen all of Minnesota and said he believed Castile would not have been shot if he was white. 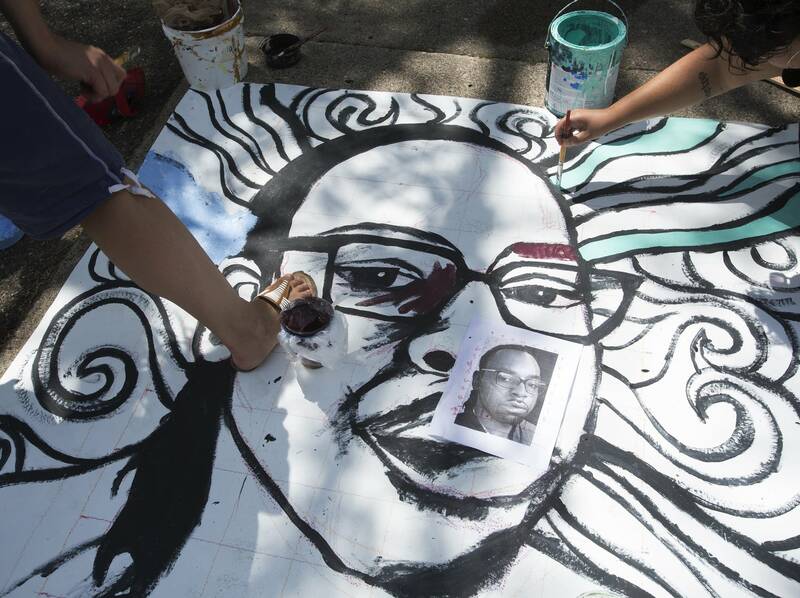 More than a thousand people gather early in the evening at J.J. Hill Montessori School in remembrance of Castile, and scores of people head back toward the governor's mansion. The state Bureau of Criminal Apprehension sends a late-night statement identifying the officer who fired the fatal shots as Jeronimo Yanez, a four-year veteran of the St. Anthony Police Department. He and Officer Joseph Kauser, who was also working the traffic stop, are placed on administrative leave. One person is arrested early in the morning when a small group breaks away from an otherwise-peaceful protest, breaking the windows of a Grand Avenue business and an unoccupied police car. Ramsey County Attorney John Choi urges calm and says he hasn't decided whether to seek a grand jury in the shooting case. The attorney representing Yanez says the shooting had nothing to do with race. "What drove this incident was the presence of a gun," says Tom Kelly. 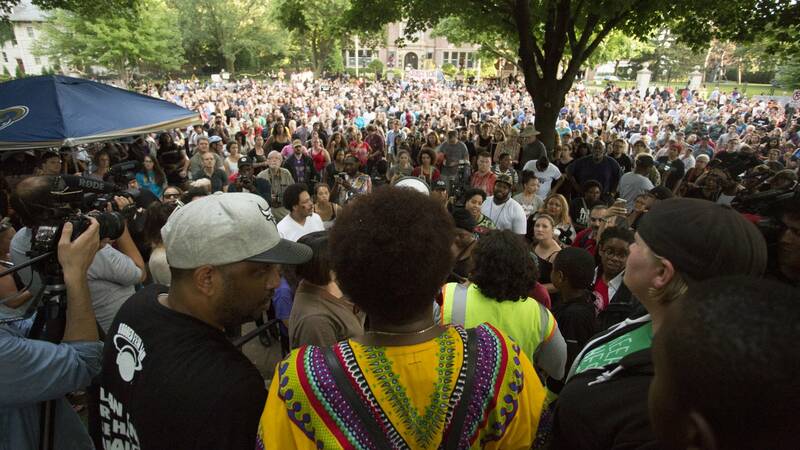 Meanwhile, demonstrators march and rally in Minneapolis and St. Paul for racial justice. 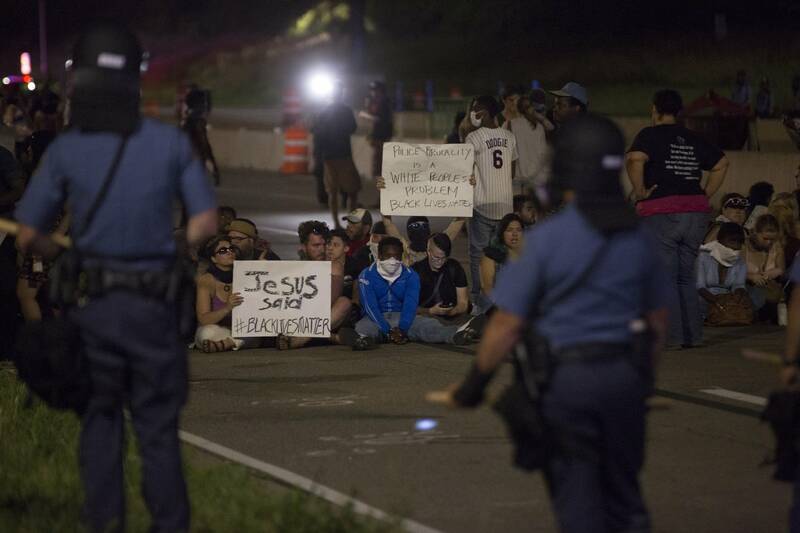 Later that evening, protesters block Interstate 94 in both directions in St. Paul. The demonstration turns violent after police fire chemical irritants at the crowd and some protesters throw objects like rocks and bottles at officers. More than 100 are arrested following the protests: 50 at I-94 and another 52 for public nuisance and unlawful assembly around 4 a.m. at Grand Avenue and Dale Street. Police also say 21 officers were hurt in the protests, though none seriously. Black Lives Matter leaders and some witnesses on the scene say the violence started with just a few people who don't represent the movement. Forty-six people are charged with third-degree riot for the I-94 protest. The Castile family attorney says the family will pursue a civil lawsuit and press for change at the Legislature in the way police are vetted and trained. 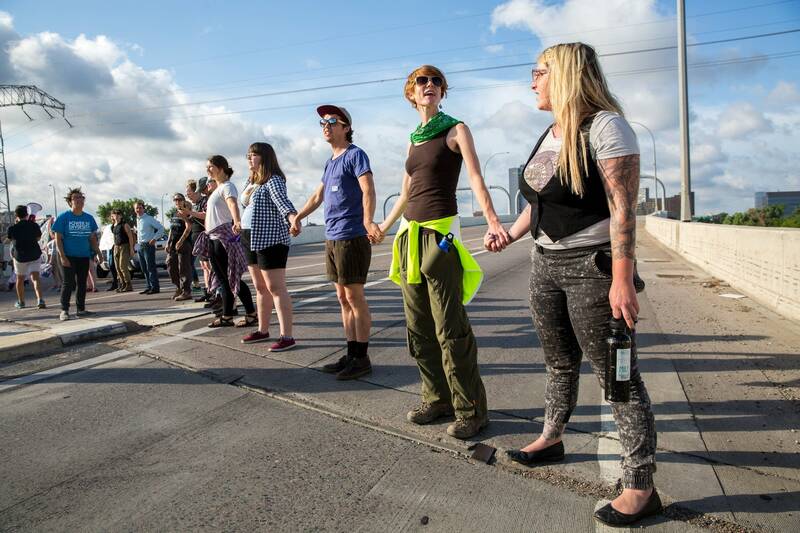 More than three dozen protesters block traffic on southbound Interstate 35W near downtown Minneapolis during the morning rush. Forty-one are arrested. 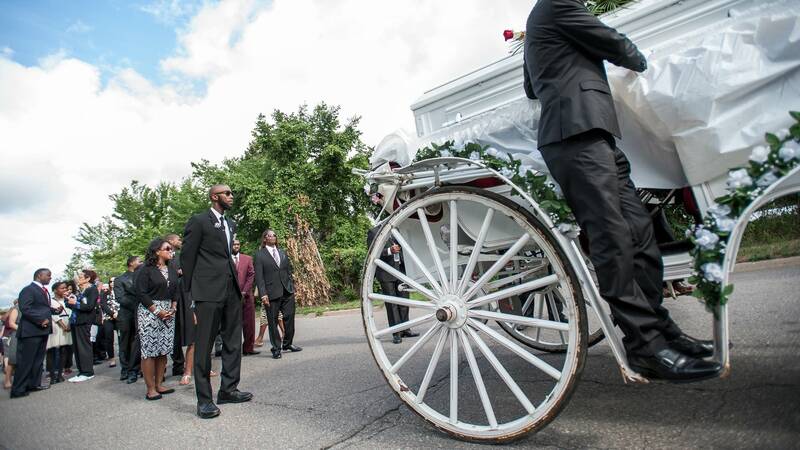 Family, friends and members of the public mourn Castile during his visitation and funeral at the Cathedral of St. Paul. The day starts with a procession from the Brooks Funeral Home to the cathedral. 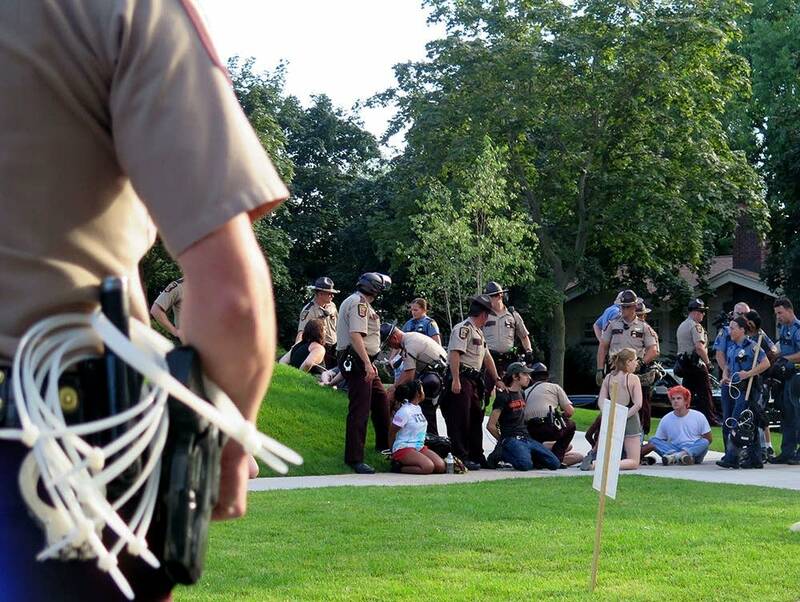 Nearly 50 people are arrested after police clear protesters from outside the governor's mansion. For the last three weeks, demonstrators had been camping outside the governor's residence to protest the shooting. More protesters are arrested after a late-night standoff on Summit Avenue in front of the governor's residence. Ramsey County Attorney John Choi names an outside attorney, former Hamline University law school dean Don Lewis, to aid him in decisions tied to the case. 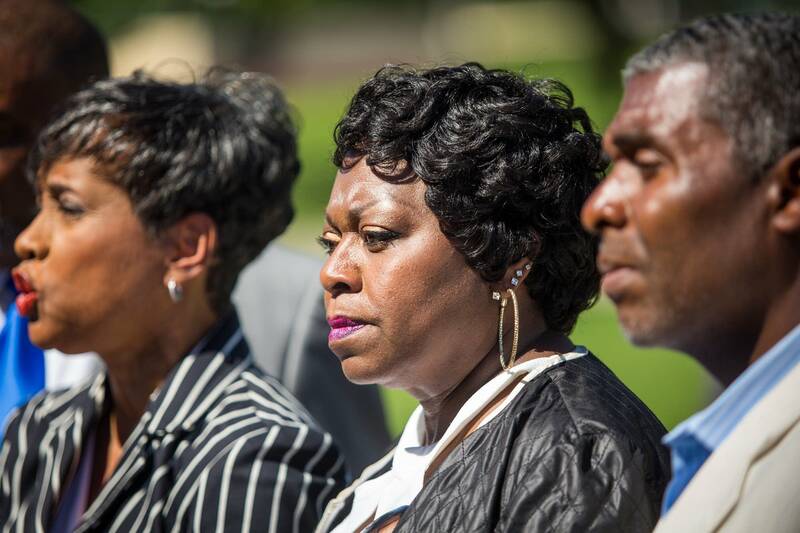 Soon after returning to work, the officer who shot Castile goes back on administrative leave. In a statement, the city of St. Anthony said it decided to put Officer Jeronimo Yanez back on leave "after reviewing concerns and other feedback from the community." State authorities say they've they've completed their investigation and turned over their findings to Ramsey County Attorney John Choi. Choi announces his decision to charge Yanez with second-degree manslaughter and two felony counts for dangerous discharge of a firearm near the passengers in the car. Choi also said he didn't think it would be right to ask a grand jury to decide the issue, when "I know in my heart what needs to be done." "No reasonable officer, knowing, seeing and hearing what Officer Yanez did at the time would have used deadly force under these circumstances." Attorneys for Yanez file a motion to dismiss the charges, saying the evidence shows a lack of probable cause. They argue Castile was negligent in his own death because he was driving while high and did not follow Yanez's commands. The Department of Justice announces it's launched an "independent and comprehensive assessment" of the St. Anthony Police Department. The city will become the 16th nationally to enter into a collaborative reform process with the department's Office of Community Oriented Policing Services, which works to help police departments around the country advance community policing. Yanez's attorneys file a motion asking for a new judge to preside over the trial. Ramsey County Judge Edward Wilson was appointed to preside over the trial earlier in the week. Under state law, prosecutors and defense attorneys may each remove one judge without cause as long as it's within seven days of the judge's initial appointment. Future judges can only be removed for cause. A new judge, William Leary III, is assigned to the case. Leary was appointed by Gov. Jesse Ventura in 2002. He was re-elected to his seat for the third time in an uncontested race last year. He's served on civil and criminal courts in Ramsey County, and was chair of the Office of Conciliation at the Archdiocese of St. Paul and Minneapolis, which was started in 1973 to mediate conflicts between parties in the archdiocese. A month after defense attorneys asked that charges against Yanez be dropped, Ramsey County prosecutors in their response argue that Yanez's conduct during the traffic stop was a deviation from what a "reasonable officer" would've done. They ask Judge Leary to reject the motion to dismiss, saying the facts in the case "can only be resolved by a jury at trial." Defense attorneys for Yanez, who have already asked for charges to be dismissed, file a memo arguing that the officer's actions were justified because Castile reached for his gun. The memo also argues against the prosecution's earlier assertion that Yanez didn't conduct the proper type of traffic stop in the case. The officer's attorneys say Yanez suspected Castile had been involved in an earlier robbery, but needed to take a good look at him first, so he stopped him for a broken brake light. In a pre-trial hearing, Judge Leary clears the path for the trial to move forward, setting a Feb. 27 hearing for Yanez to make a plea in the case. 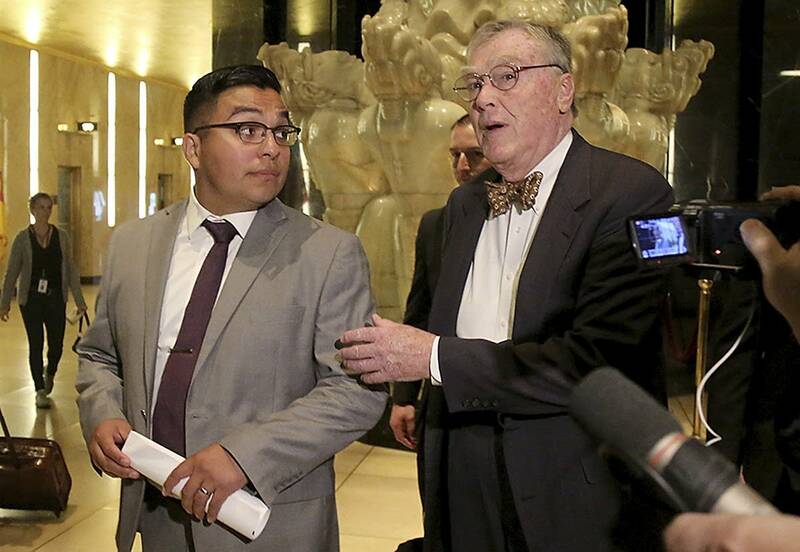 Yanez's attorneys, in asking for charges to be dismissed, had argued that Castile disobeyed the officer's order not to reach for a gun that he had in the car with him. They contend that Yanez shot Castile because he saw the gun and feared for his life. "[Yanez] had a right to carry a gun, he had a right to stop the car, he had a right to investigate," defense attorney Paul Engh said in court Wednesday. "There is no right to disobey the orders of a police officer during a traffic stop." The judge rejected an argument from the defense that Castile had not followed the officer's orders. A "victim's unreasonable conduct is never an absolute defense to a criminal charge," he added. 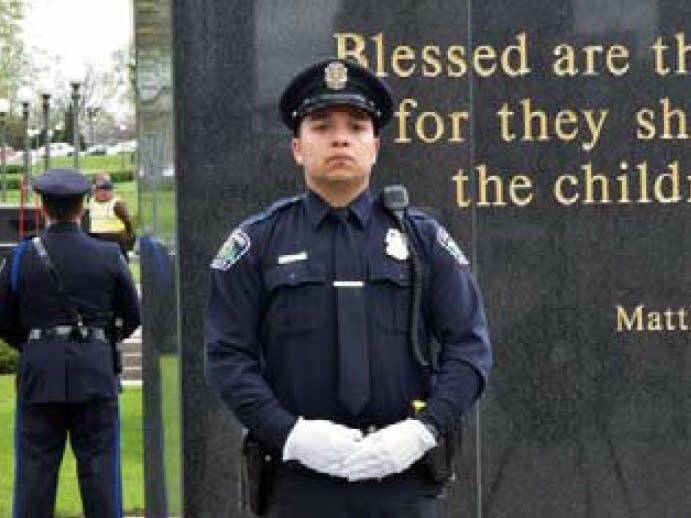 In a hearing that lasted less than four minutes, St. Anthony police officer Jeronimo Yanez pleads not guilty to all the charges filed against him. Yanez, 28, faces a second-degree manslaughter charge for fatally shooting Philando Castile, 32, during a traffic stop in the Twin Cities suburb of Falcon Heights. 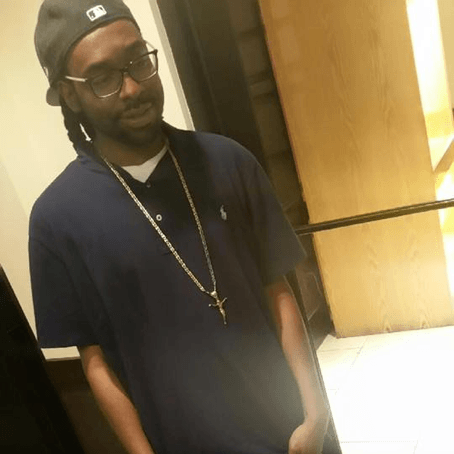 He also faces two felony firearms charges for firing his gun into the car, where Castile's girlfriend, Diamond Reynolds, and her young daughter were sitting. Yanez walked into the courtroom flanked by his three attorneys. He spoke clearly and loudly when he answered Ramsey County District Judge William Leary III's questions about waiving his right to have the criminal complaint read in court. "Your honor, I waive that right," he said. 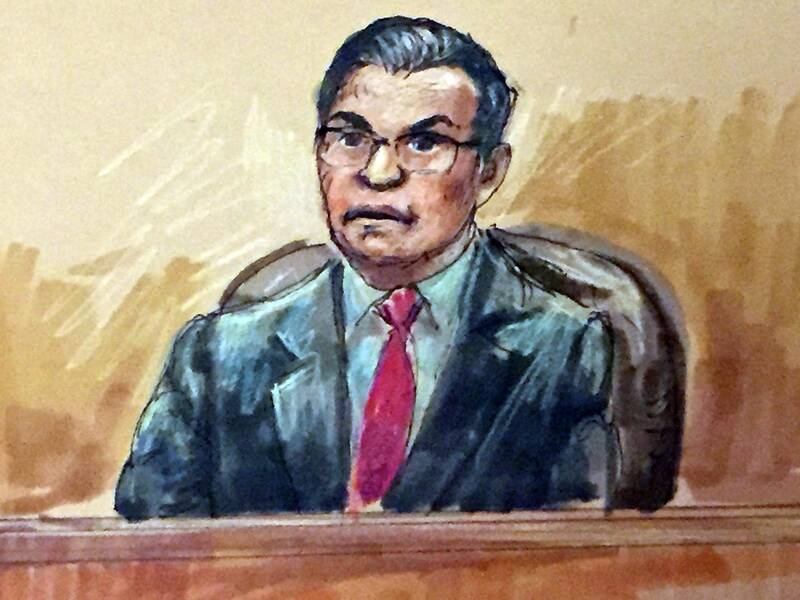 And: "Your honor, I plead 'not guilty,'" when the judge outlined the charges against him. Leary set a trial date of May 30. Yanez is not in custody and remains on paid administrative leave. Defense attorneys request that the trial be moved out of Ramsey County to Duluth, Hastings, St. Cloud or Brainerd. They argue in the filing that the case has become an "omnipresent spectacle." "The news stories were, in our reading, slanted against him, written and voiced on the air with nary a mention of due process, the presumption of innocence, the importance of a trial, the jury, or of what the defense will be," according to the filing. In other documents filed Tuesday in Ramsey County District Court, Yanez's lawyers requested that Judge William Leary III dismiss the manslaughter charge against him. Defense attorneys filed a similar motion in December, requesting that all charges against Yanez be dropped, but Leary denied the request last month. The defense has also filed a motion to suppress the statements Yanez made in an interview with state Bureau of Criminal Apprehension agents the day after the shooting. They argue that it doesn't reflect Yanez's earlier statements or the fact that he was mentally and physically exhausted during the interview. Prosecutors file a motion arguing against the defense team's request that the trial be moved out of Ramsey County. They argue that a high level of publicity in a case doesn't automatically qualify a case to be moved. They argue that many of the stories cited by the defense team about Castile came from media organizations with wide reach into other parts of the state and nationally, not just Ramsey County. "Simply put, that raises this question: When news reports and electronic social commentary can be readily accessed not just in Minnesota but virtually anywhere in the world as well," according to the filing, "Where can this case be transferred where individuals would not have access to information about this case or those involved, like the defendant and Mr. Castile?" In a new filing, defense attorneys argue that an opinion by a use of force expert the prosecution used to come up with the charges against Yanez, could also be viewed as irrelevant and inadmissible. 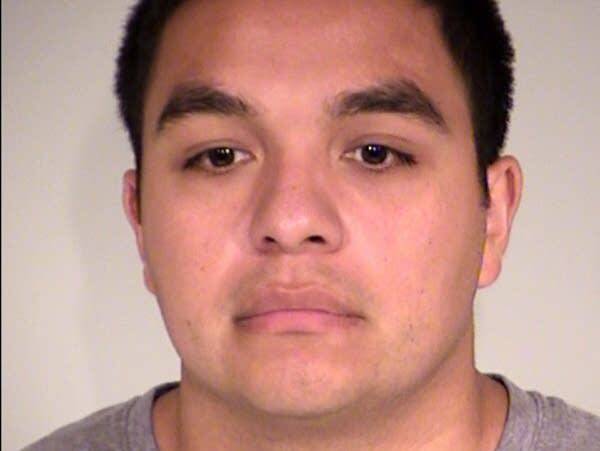 The defense team claims that Minnesota Bureau of Criminal Apprehension agents told Yanez he was justified in shooting Philando Castile during a July traffic stop. Judge William Leary III denies a request to move the trial. He also denied defense attorneys' earlier request to drop the charges against Jeronimo Yanez. The defense still has the option to file another motion to move the trial at any time before jurors are seated. Only a handful of criminal trials in Minnesota have been moved from their original location in the last five years. Defense attorneys appeal Judge Leary's decision not to move the trial out of Ramsey County to the Minnesota Court of Appeals. Prosecutors push back against the appeals court request. The Minnesota Court of Appeals rejects the defense's request to move Yanez's trial in the shooting death of Philando Castile. Defense attorneys file a petition asking the Minnesota Supreme Court to issue a ruling on their change of venue request, which has been denied by two lower courts. "Our motion has its genesis in the comments of Governor Dayton and Ramsey County Attorney (John) Choi and Representative (Keith) Ellison who collectively announced Officer Yanez's deep and unmitigated guilt," attorneys Kelly, Paul Engh and Earl Gray wrote, adding that those comments created a prejudicial environment in Ramsey County. Prosecutors argue in a court filing that the Minnesota Supreme Court should not review a change of venue request in the trial. Defense attorneys want the court to increase the number of jurors they can strike from the case without cause. That's one of 15 requests in the attorneys' broad pretrial filing made public. They also want the court to hear about Castile's driving record and marijuana use, and allow the officer to reenact parts of what happened that summer night. • Asking that potential jurors fill out jury questionnaires before the trial is officially set to start so the defense can "conduct independent background checks." • Allowing the jury to see Castile's car in person, "particularly the position of his seat, the driver's side window and the brake lights." • Permitting testimony about Castile's record of traffic violations. • Allowing Yanez to demonstrate for the jury where he was standing in relation to the car, and "why he saw Castile's gun in his right hand." • Permitting testimony at the trial about Yanez's character. • Prohibit witnesses from describing attorney Jeffrey Paulsen, who is helping to prosecute the case, by his title of "assistant United States Attorney" during the trial to avoid implying that the federal government is interested in this particular case. Jury selection begins in the trial. Yanez takes the stand, telling jurors he was forced to shoot Castile because he was not complying with the officer's commands and was reaching for a gun. "I didn't want to shoot Mr. Castile at all," said Yanez, who choked back tears at times during his testimony. "I thought I was going to die," he said, adding that images of his family rushed into his mind. "I had no other choice." It was the first time the officer had spoken publicly since the shooting. Following closing arguments, the case goes to the jury. Jurors find Yanez not guilty on all counts tied to his shooting and killing of Castile. Protests break out across St. Paul. The Bureau of Criminal Apprehension releases its massive evidence file for the case, including dashcam video showing the eight seconds in which Yanez's traffic stop of Castile turned tragic.